Featuring the voices of Adam Shaftoe, Matt Leaver, and Stephen King. I’m not sure who this Stephen King guy thinks he is, but I’m certain I won’t come to regret passing on doing an interview with him. 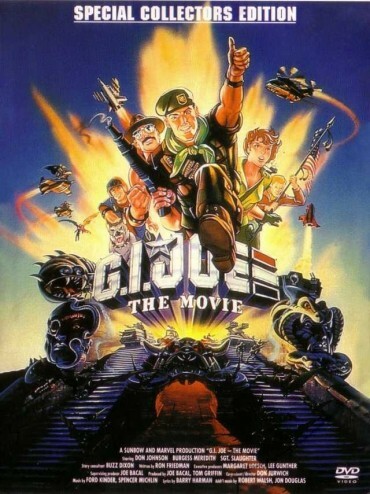 In this the thirtieth episode of the Page of Reviews Podcast, my assistant “editor” Matt Leaver returns for a review of the 1987 cinematic masterpiece, G.I. Joe: The Animated Movie. Though a critical dissection of such a plainly terrible movie isn’t exactly hard, it is certainly entertaining. It also prompted an unrecorded RiffTrax style viewing of The Last Starfighter after the podcast, as well as plans to try and do a podcast review of Naked Lunch. I suspect a Naked Lunch podcast would have a total run time of fifteen minutes and consist mostly of me saying, “What the hell did I just watch?” Still, the attempt could be fun if nothing else. But the bigger question is this, if Matt and I try to do our own version of Mystery Science Theatre, possibly conscripting another mutual friend in for the fun, what movie should we do? 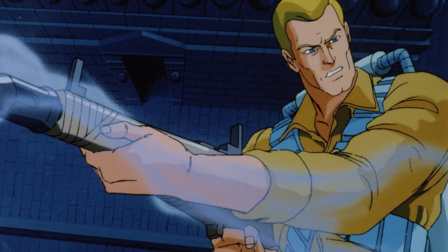 Keeping with the 80’s nostalgia kick, I’d say the next movie would have to be Transformers. Also, if you’re looking for a third I am available and charge reasonable rates. This is one of your best episodes, i really enjoyed it. Thanks, Kris. We had a blast doing it, and hopefully the next one will be just as entertaining. We have big plans there, well average sized plans.